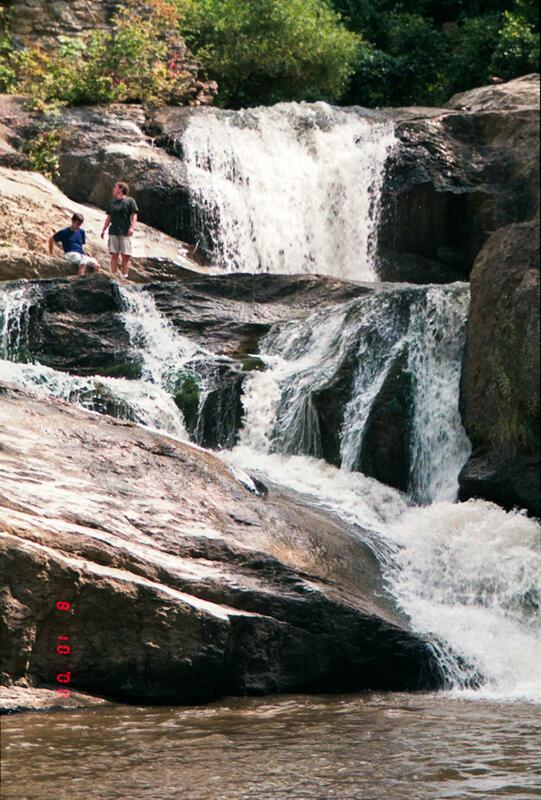 Located on private property, Reems Creek Falls is just under a mile upstream from where the creek enters the French Broad River, in a small gorge like area. The closest public access to Reems Creek below the falls is where NC Hwy. 251 crosses it where it joins the French Broad River about a mile downstream. You can't see anything from there. If Reems Creek is in fact "navigable" (and I'm not saying that it is), you could just wade upstream from the Hwy. 251 bridge to the falls, staying in the stream bed below the normal high water mark, without much trouble. Otherwise, this is on private property with no public access.